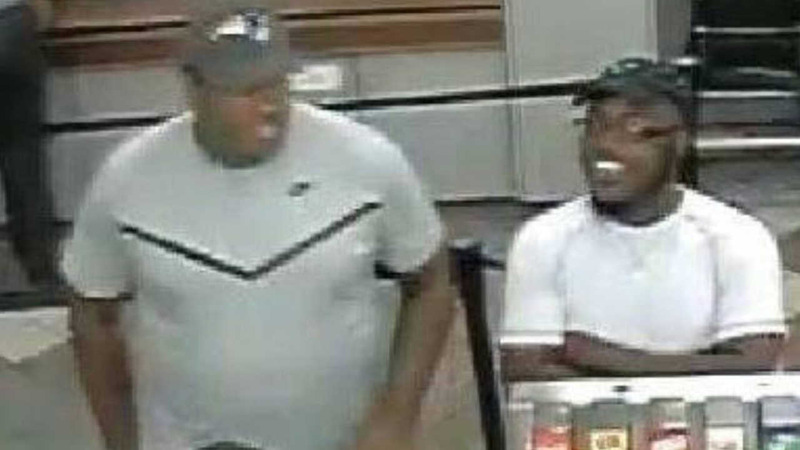 HOWELL, New Jersey (WABC) -- Police in New Jersey are searching for two suspects who had an apparent sweet tooth. Officials say on Friday, the two men purchased several store gift cards at a Howell Walmart worth $1,200 using stolen identities. Then, the men used those same gift cards numerous times at the same store to purchase candy bars and Gatorade. After leaving the Walmart, police say they then used another fraudulent card at a Howell Chic-Fil-A.